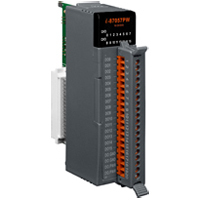 I-87057PW offers 16 channels for digital output, each of which features Photo-couple isolation. 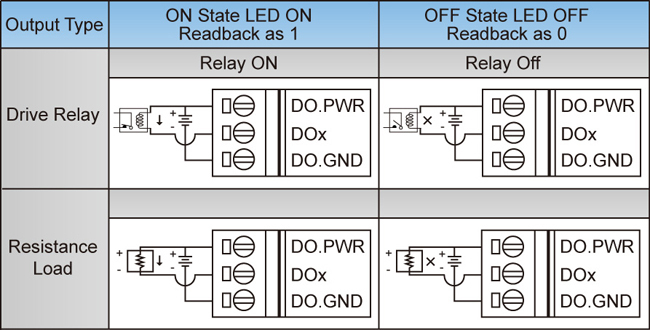 I-87057PW supports sink type output with short-circuits protection. 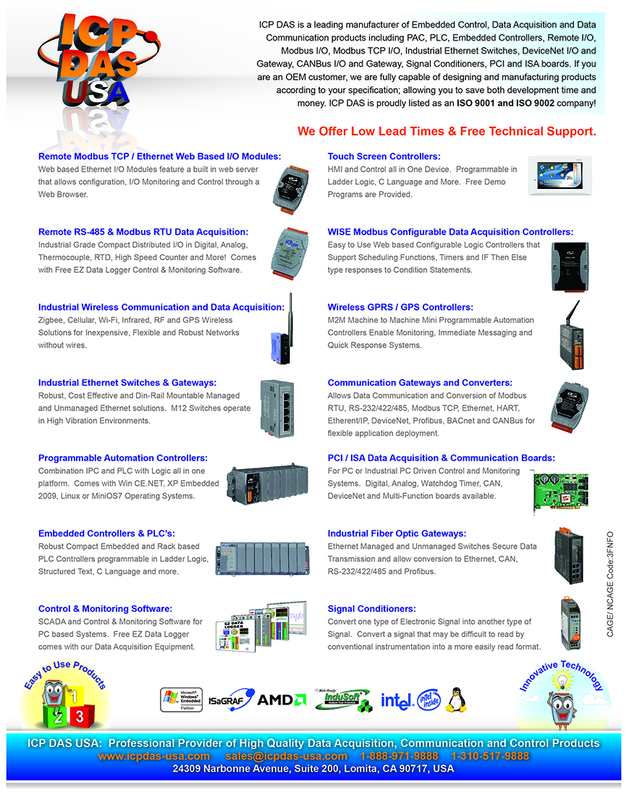 There are options for power on value and safe value for your consideration. 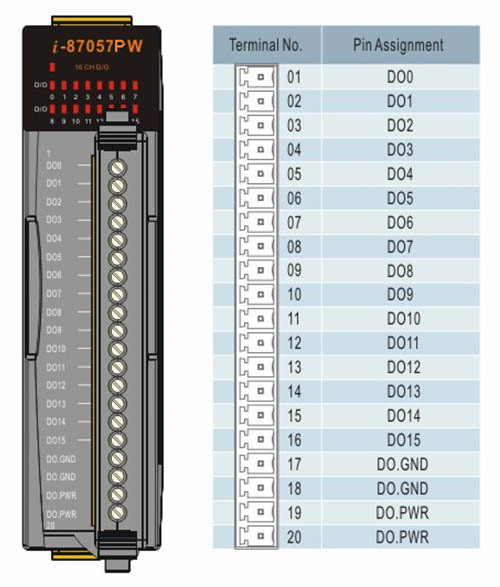 I-87057PW has 16 LED indicators for DO channel status. 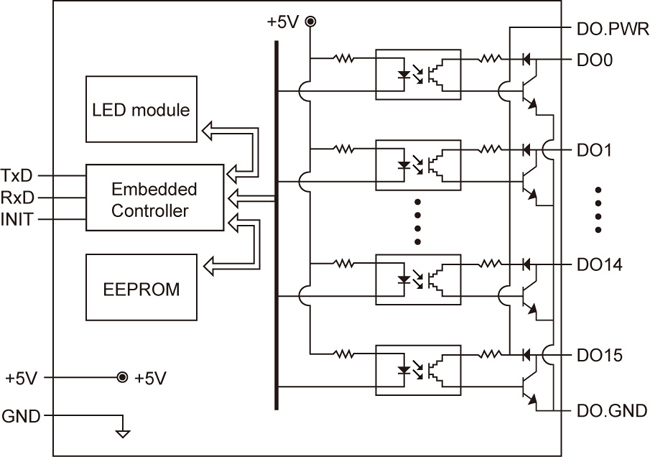 4 kV ESD protection, 3750 VDC intra-module isolation are standard.